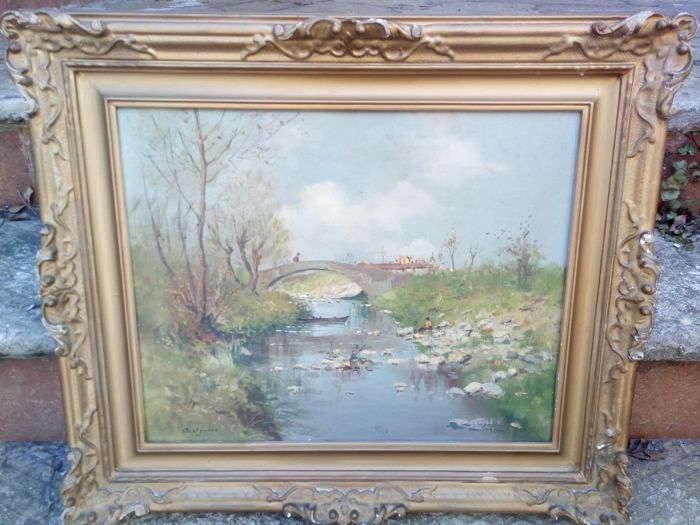 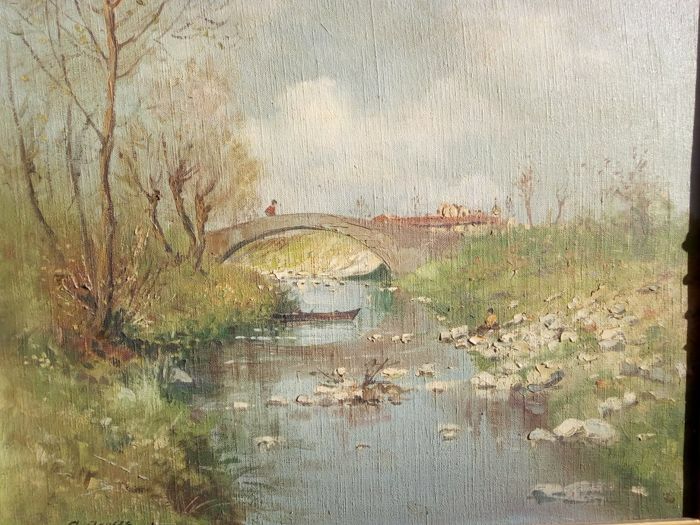 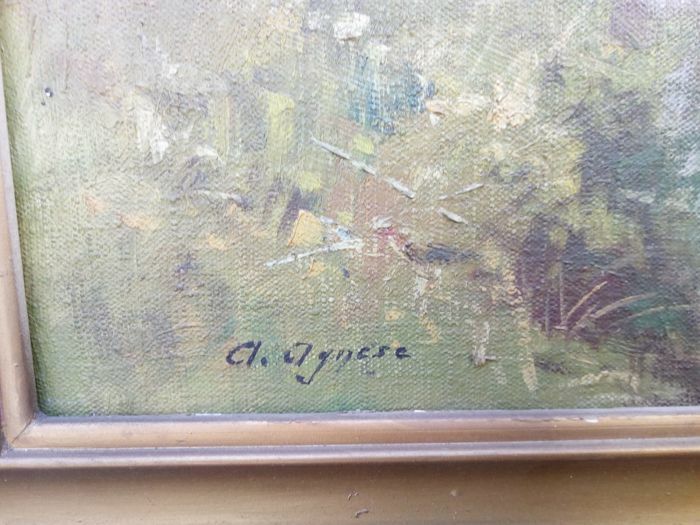 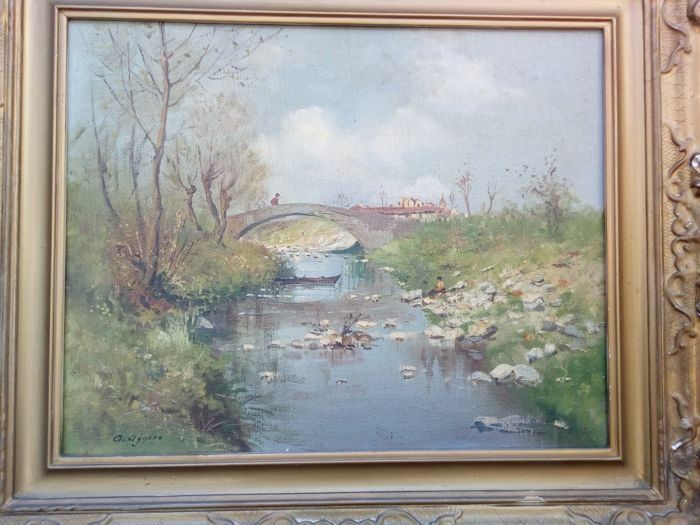 Oil painting on canvas, in good condition, signed A. Agnese at the bottom left. 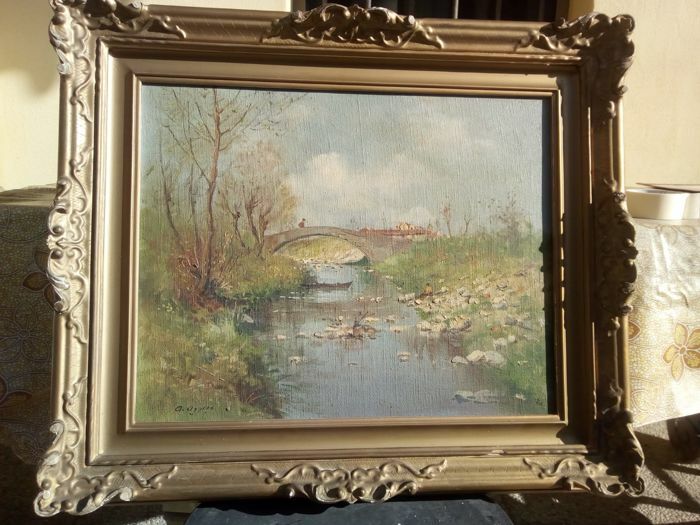 Dimensions: 40 x 50 cm, 58 x 68 cm with original frame in gilt wood (slightly damaged). 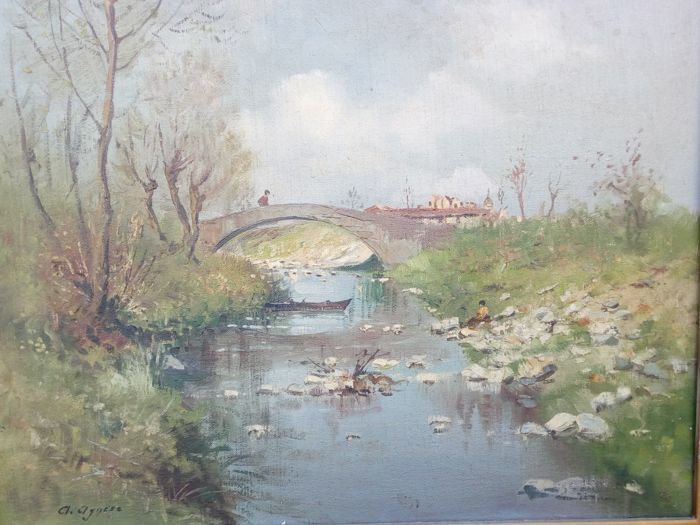 It represents a landscape with two characters near a small river. 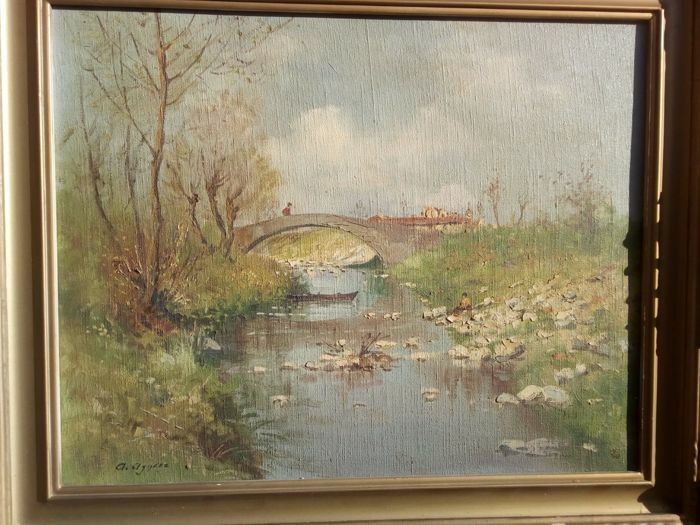 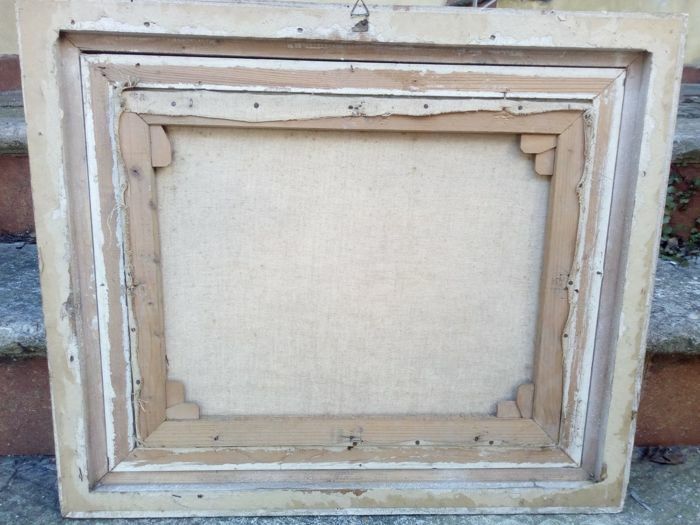 I think the painting (of excellent quality) is from the 1940s.